Particle & Surface Sciences are the sole Australia and New Zealand distributors for the Lighthouse Worldwide Solutions range of products. Lighthouse contamination monitoring solutions are now found in semiconductor, pharmaceutical, data storage, biotechnology, aerospace and defence industry plants worldwide. Poor air quality even in small amounts can make people sick, impact work output and inhibit learning ability. Lighthosue contamination monitoring solutions, like the Handheld 3016-IAQ, are able to collect data that air quality experts can use to assess the safety of the environment. Lighthouse contamination monitoring systems and instrumentation enable state-of-the-art semiconductor and electronic fabs to monitor air, water, chemical and gases for yield destroying contamination. With a highly sensitive and accurate high purity water monitoring system (Nanocount 50) and a premium portable particle counter for cleanroom monitoring (SOLAIR 1100), Lighthouse is able to provide optimal contamination monitoring solutions for the semiconductor and electronics industries. At the forefront of the data storage industry is increased storage capacity and ever decreasing costs. Lighthouse is a large contributor to environmental monitoring in this high technology segment. 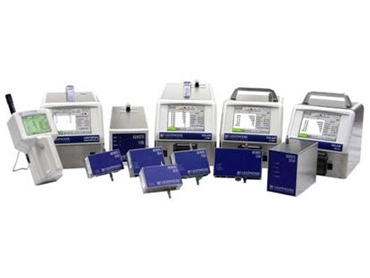 Their systems and instruments provide a comprehensive, fault-tolerant, process related contamination monitoring that translates into yield and cost avoidance solutions. Critical Air and spacecraft components. Particle and Surface Sciences and Lighthouse also design, install and maintain some of the largest, most comprehensive contamination monitoring systems in the world and offer a complete package of calibration, service, repair, contamination control training and consultation services.